Flex Circuit and Rigid-Flex Circuit Design, Fabrication and Assembly. Complete in-house Flex Circuit and Rigid-Flex Circuit Turnkey and Consignment Assembly. Complete Design for Manufacturability consulting using Valor Genesis ODB+++ DFM software. Modern 50,000 Square Foot Manufacturing Facility. In today's ultra competitive marketplace, it's not just getting the right product to market, but getting there at the right TIME as well. Having your product available to your customers sooner can mean millions of saved revenue dollars and getting a big jump on "the other guys". With this in mind Lenthor is proud to offer our Flex Express Service. Whether it is proof of design, engineering prototypes or short run production, Lenthor is here to serve your every delivery requirement. 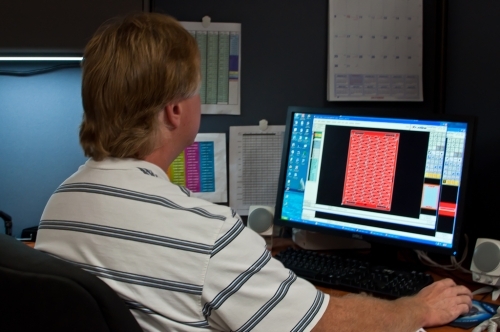 From single and double sided flex in 24 hours to rigid flex designs in 2 days, our employees are prepared to do whatever it takes to answer your call. Our Valor Frontline Genesis 2000 Cad System allows our engineering department to tool your designs faster than ever before. This means your job hits our production floor within a matter of hours. The end result: you get your flex boards faster, with the same quality and reliability you have come to expect from a Lenthor product. So if you're more concerned with staying ahead of the competition than keeping up with it, contact us and find out how our Flex Express Service can help keep "the other guys" at bay. Lenthor Engineering's primary role as your Flex and Rigid-Flex printed circuit board fabricator is to comply completely with the directives given to us regarding the fabrication of your printed circuits. This goes to the selection of the raw materials and specific surface finishes you specify within the documentation you supply to us. While Lenthor Engineering can and will provide direction where we can ultimately it is up to the specifying agent to direct us in the selection of the materials comprising the final build. Lenthor Engineering continues to work with all of our suppliers of materials that could be affected by the new RoHS compliance statutes. We believe that we have identified those raw materials, which will not meet compliance and have identified appropriate alternatives. 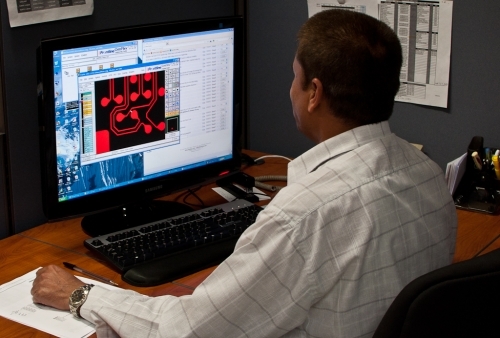 We can provide specific materials related information during your design phase. We have for many years made available several alternative surface finishes to the industry standard HAL solder finish. We will continue to make those finishes available to you. For those applications that will continue to require a solder finish we are working with our suppliers on the implementation of lead free alternatives. Lenthor Engineering has prided itself on its commitment to meeting and exceeding all environmental compliance regulations. As a winner of the Susanne Wilson Environmental Achievement Award Lenthor Engineering is committed now and into the future to working with you to achieve RoHS compliance.